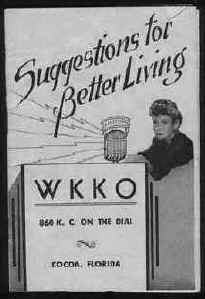 WWKO-1989-Urban Contemporary "KO 860 Knockin' Out The Hits"
Mr. Davis E. Wilson tells about the beginnings of WKKO. "Since I was the original chief engineer and co owner of WKKO, I thought I might bring you up to date a bit on the beginning of the station. Carl Collins and I were at WDLP in Panama City in 1951 when we decided to build a station in Cocoa (not Cocoa Beach). 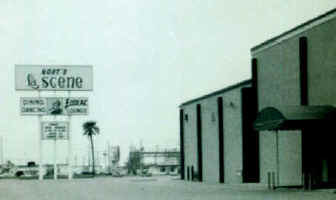 The station was actually located about three miles west of downtown Cocoa and about 2 miles south of SR 520. Carl and I found that Emerson Browne (then at WTRR-AM 1400 in Sanford) had also applied to the FCC for a station in Cocoa, so rather than fight, we joined in a partnership as Brevard Broadcasting Company. We finally received our construction permit in the summer of 1952. We had hoped to be on the air by Christmas, but didn't get our final OK from the FCC until after Christmas. 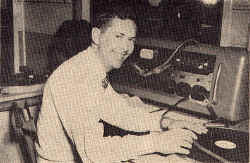 Our first day on the air was Sunday, January 4, 1953. (I still think of that as the most hectic day of my life), Carl and I later bought Emerson's interest in the station and became the owners in 1954. Carl was General Manager and I was Chief Engineer. 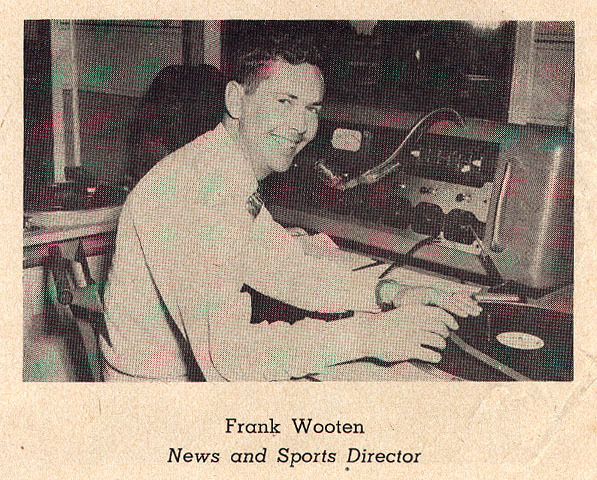 We were Cocoa's first radio station and Brevard County's second, after WMMB-AM 1240. We were a very small-time operation at first, with only five of us as full time personnel. We were daytime only, which was the way we wanted it. 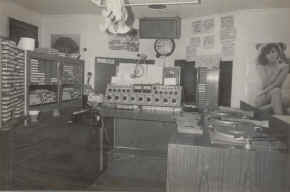 We started out at 250 watts, with an old 1935 Gates transmitter that had been used in Toccoa, Georgia. 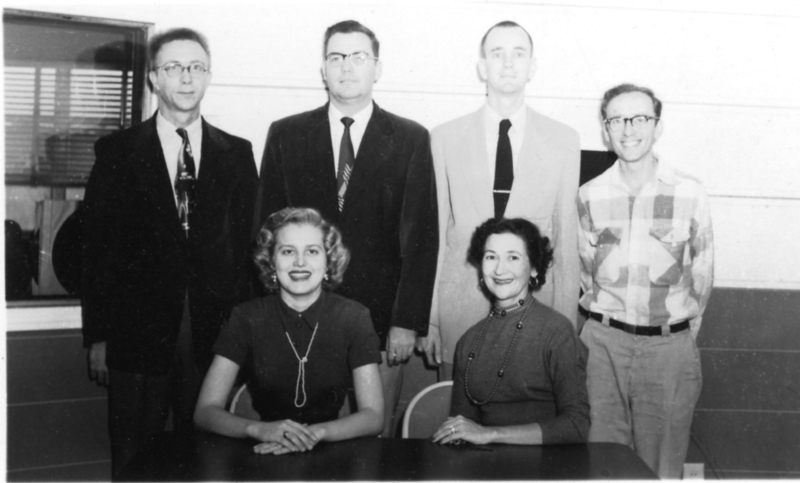 Around 1954 (we) decided to go to 1,000 watts. I designed the new transmitter (a modified version of the Collins kilowatt of the day), obtained FCC approval, and built it to fit into the existing 250 watt transmitter rack. One night we removed the 250 watt chassis and replaced it with the 1000 watt chassis. 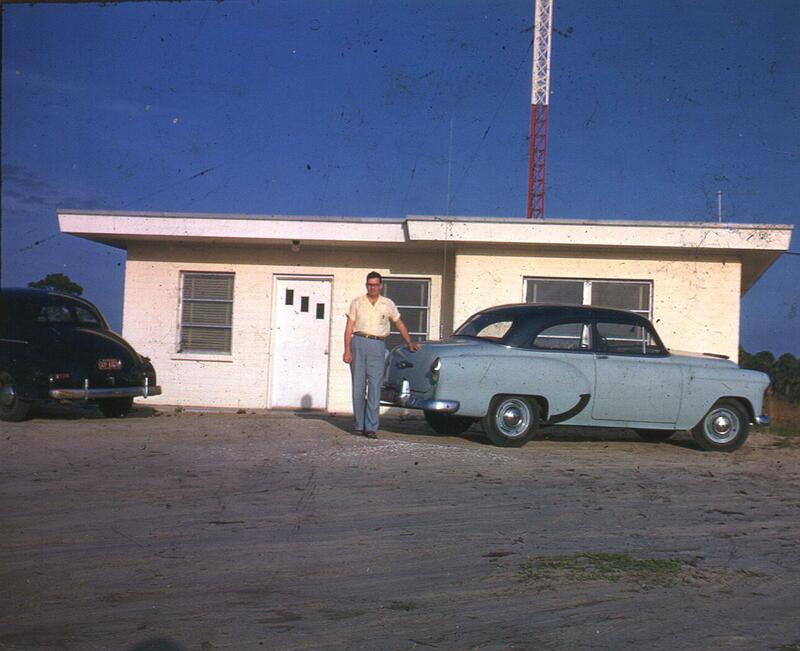 For about ten years or so the station must have been one of the few in this country with a "home made" transmitter. 1954-Emerson Browne sold his interest in WKKO for $12,000. Browne made the move in order to operate WRWB-AM 1220 in Kissimmee. 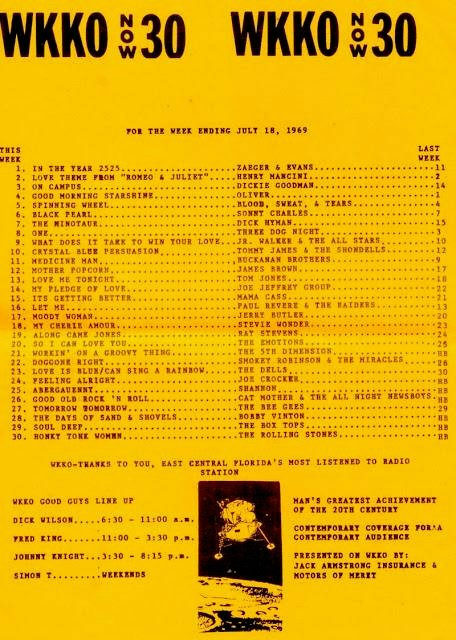 From Brian Douglas; "...This station was WCKS (using CK-101's former call letters) playing Top 40 in 1987. 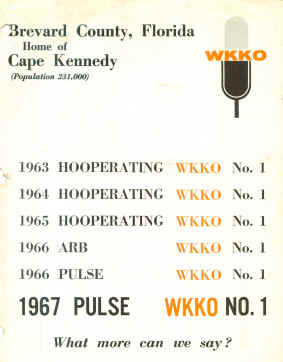 By 1993, WWKO was an R&B station. Alan Dickson was the GM through this time. The Owner Contact was Keith Walker..." "...It became a Nostalgia station soon after, before going dark in a buyout (to enable WGUL, Dunedin [also on 860] to improve its coverage)." 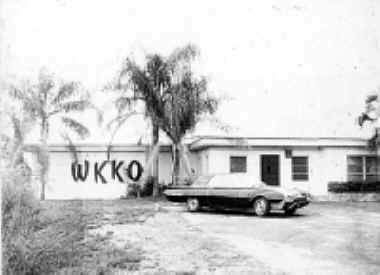 "I am also the former owner of 860 AM, Cocoa, FL (original call letters WKKO). I bought it from Keith Walker (station) and Jane Maschmeier (real estate) and ultimately sold the station to WGUL-AM owner Carl Marcocci who ultimately turned it off so he could get better coverage WGUL 860 AM over Tampa/St Pete. (He applied for and received FCC permission to change his WGUL pattern subject to turning off 860 AM Cocoa.) 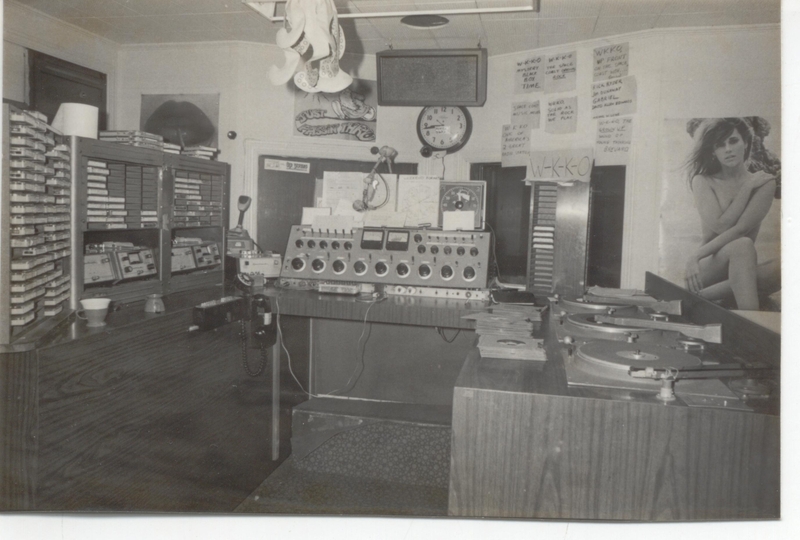 When we acquired 860-AM Cocoa in Brevard County we changed the call letters to WRFB (Radio For Brevard.) 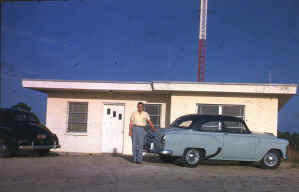 Ray Kassis, owner of WWBC 1510 AM Cocoa ultimately bought the old 860 AM site, removed his old tower in the Indian River and re-tuned the old 860 AM tower for 1510. Then he was able to add one tower and go to 50kw day time." Left to right standing are Bob Bruner, chief announcer and technician, Carl Collins, General Manager and co-owner, Davis Wilson Chief Engineer and co-owner, and Johnny Fox, salesman and announcer (and commercial photographer). Seated are Earline Hamilton, secretary, and Mercer Livermore, hostess of "Cocoa Chatter" a local talk show (not a call-in type of talk show - Mercer did all the talking). Johnny Knight-1969-1971-3:30-8:15PM-Marvin Rothschild Ownership/Cocoa One Inc.
Lee Arnold 1971-1972-Cocoa One Inc.
Jim Day (Jim Burgan)-1973-1975-Evenings-Cocoa One Inc.
Tom Collins-1974-Program Director/Mid-days/Operations Manager-Cocoa One Inc.
Kris Kelly (Ken Bundy)-1974-Afternoons-Cocoa One Inc.
Bobby Knight-1984-1985-Program Director-Fox Radio Inc.
Sal Tee (Salvatore Taglireno)-1993-"Solid Gold Reunion"-Saturdays11AM-1PM-Brevard Broadcasting, Inc.
From Fred King; "...Nort's La Scene was...extremely popular..." "...(it) was located one block from the beach at the end of the 520 causeway. It was straight out of (the movie) Saturday Night Fever, with the flashing colorized dance floor, strobes, movies on the wall and deafening discotheque (music)..." "...(WK)KO (DJs) handled the music there. From Fred King; The WKKO "... jocks would pick up some extra cash by handling the music here. 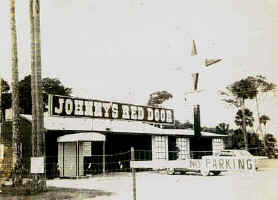 The owner of The Red Door, Johnny Esposito, was very close friends with one of the (WK)KO owners and we promoted...that club. Everyone knew about that club at that time. The building located along the Merritt Island causeway, no longer exists."